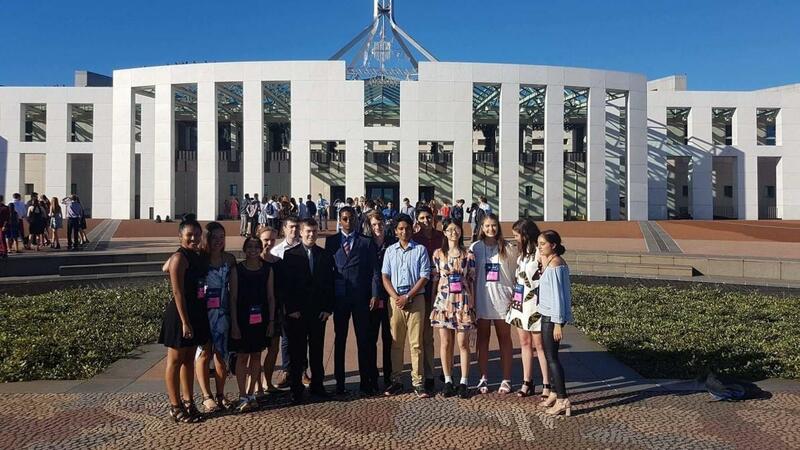 Over the summer holidays, I was lucky enough to attend the 2017 National Youth Science Forum, an experience which I believe has shaped my life for the better. 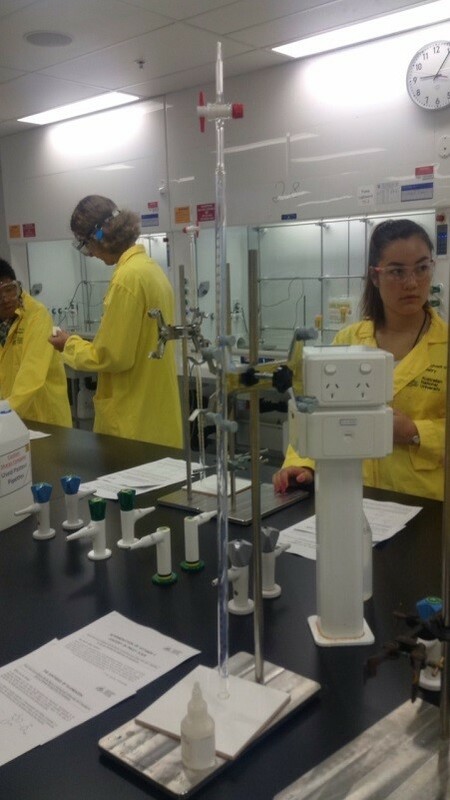 The program allowed me to explore a wide range of scientific fields and new ways of thinking, as well as have some extremely memorable experiences and make friends with like-minded and talented people from all over Australia. The 12 days I spent up in Canberra at the ANU campus were some of the best I've ever had, and though I am sad that my time there had to come to an end, I am grateful that I got the opportunity to take part in the NYSF. Travelling up to Canberra was quite the journey, a nine hour bus trip with several short stops along the way. However this was certainly not a curse but instead a blessing, as I was able to reconnect with several fellow Melbourne people who I had met previously, and make new friends as well. We met two of the soon to be infamous 'staffies' along the way, student staff who we all judged to be in their early twenties at the youngest. They at first seemed enthusiastic and confident, but it wasn't until we crossed the border into the ACT that we discovered their true forms. The singing and chanting began almost immediately, and we found ourselves roped into songs about bananas, coconuts, and other strange topics. Little did we know that in a few days time we'd be fully on board with the whole thing and would be starting our own chants. After arriving to the ANU campus, we were quickly greeted by a diverse range of students hailing from all the states and territories, and even a selection of New Zealanders. A tad overwhelmed, we were able to go up into the dorms and find our rooms, where we would be sleeping for the next two weeks. After a quick dinner, we were introduced to our floor groups, composed of a random collection of people from nearby rooms and one staffie to top it off. We took part in random games and introductions, becoming familiar with the gang we'd be debriefing every night with. Sleeping was the most difficult part of the whole forum, the nights were hot, the rooms were stuffy, and my fan and I had many disagreements. Luckily though, I was one of the rare few in the whole campus who got a fridge in my room, and this made me an instant celebrity. The next day, we met our interest groups, which we would be going on our lab visits in. My group was Curie, a chemistry group, and we instantly bonded, creating a group chant. Off we all went to the shine dome, a massive lecture theatre on the campus. We got a group photo of the entire cohort, and then sat in on a photonics lecture, learning much about physics and the science of light. After that we attended a critical thinking workshop, which was a clear favourite of the crowd. We learned the different systems of thinking, and how to approach life situations, as well as various hypothetical questions which got us all thinking. That evening we had a science quiz, which ended up being a disco with the occasional round of high speed science questions thrown in the mix. Overall it was a great first full day of NYSF, and we were all excited for what would come next. This day we visited parliament house, attending an opening ceremony and touring the different rooms. We then got to run a mock political debate, forming committees and then the lower house to debate the future of nuclear power in Australia. I personally gave a talk on "making Australia great again", which I am very proud of. We soon went to another lecture, this time on politics in science, and the dangers of anti-science. It was really interesting hearing this different perspective on science and politics, and definitely helped me understand that I should never take anything at face value. The evening was another new experience, we learned how to swing dance. Despite having 200 sweaty teenagers packed into a hall with no idea what to do, once we got past the awkwardness, it was actually quite a fun thing to do, and I hope to be able to use my new dancing skills again one day. This was also the first night we were exposed to the "staffie dance", a choreographed performance of various distinctive and named moves that the staffies later taught us how to do. At the time though, we sat with our mouths open, unsure of what was going on. The next few days were when the science truly kicked in. My interest group and I went on four different lab visits to vastly different facilities. I got to perform experiments on orange juice, facilitate the creation of glowing slime, and making my own nitrogen ice cream. We went to a government testing facility and examined properties of drugs, and we also tested an entertaining assortment of latex products, including but not limited to rubber gloves. I was also lucky enough to visit two different forensic facilities, where we examined a mock crime scene and explored high tech federal laboratories. The next few nights included a variety of activities. One night we attended a rotary and alumni evening, listening to an array of guest speakers, both rotary and past NYSF students. It was interesting hearing how much NYSF had affected these people's lives, and I was only just starting to realise how much it was going to change mine. The following night was our shopping night – we were released for several hours into the civic centre and were free to load up on fast food, gather games for the coming week, and prepare costumes for the disco the following night. My interest group got together and decided to wear the blue lab suits from a forensic visit on top of hot pink clothes and accessories. Other groups were equally as ridiculous, there was a stereotypical Australian 'bogan' group, one team who dressed in all the colours of the pH scale, and one group even dressed up as the staffies. The disco went very well, with hours of wild dancing and a very hectic music playlist. One lecture that really spoke to me was the "Year 12 and Beyond" one. We split into small groups and were paired off with several staffies each, who spoke to us about their school experiences. It finally clicked during this lecture that year 12 wasn't just going to be this big horrible boring year where one wrong move would destroy my future completely and permanently. I also finally realised that my ATAR score wasn't going to be the defining moment of my life, and there's always alternate pathways to get to the course you want. At this point I was beginning to get pumped up for the year, excited to take as many opportunities as possible and get myself out there, something that wouldn't have happened without NYSF. The following day, we finally got a chance to take a breath, as it was home hospitality time. We got to stay with a lovely couple with ties to rotary, and had the chance to lie in bed, eat home cooked food, and enjoy some informed dinner table debates. That day was so relaxing but yet so fun, and I'm thankful to Penny and Len for the amazing hospitality they provided. The remaining week passed by in a blur. We attended workshops on entrepreneurship, visited medical facilities on campus, and met partners of NYSF who presented to us. This was a very informative session, as we got to hear from a variety of Australian universities as well as potential employers of the future. I learned much about IP Australia and as well as Melbourne Uni courses that I hadn't thought about previously. I also attended a formal NYSF science dinner, featuring many prestigious guests and a guest speaker whose words really triggered a catharsis within us all. One highlight of our remaining time was a videoconference with a scientist at the Large Hadron Collider in Switzerland. I learned more about nuclear physics in an hour than I had in my whole life beforehand, and it was more intriguing than I had expected. Soon the trip was coming to an end, but I was fortunate enough to be in the group travelling to the Telstra Tower for Australia Day. We began by counting down the "Hottest 100" songs, and then huddled up in the cold wind to overlook the fireworks taking place down in the centre of the city. That experience alone was such an amazing one, it was the perfect night to complement the completion of NYSF. We still had one more full day, and boy was it a fun-filled one. We began the morning with a trip to Questacon, a giant science facility filled to the brim with interactive exhibits and sciencey goodies. We probably seemed like kids in a candy store, jumping from exhibit to exhibit, seeing the lightning room, earthquake simulations, and getting to fall down a giant vertical slide (it's scarier than it sounds). The rest of the day, we sat through our final staffie briefing and closing ceremony, ate our last dinner, and realised how much we were going to miss NYSF. The evening was not complete however, as the concert awaited us. A variety of students playing different instruments performed for the whole cohort. A friend and I got to present a humorous speech about the staffies, however the stage light was stolen by three boys who played a rendition of "My heart will go on" on their recorders. The night eventually came to an end after the staffies surprised us with an emotional song about their time at the NYSF. The last morning was so very emotional, it was incredibly difficult to say goodbye to so many wonderful friends I had made. Tears were shed by all as our bus pulled away from the campus, many running alongside us as if they were trying to make us stay. The bus trip home was a lot quieter than the one we had taken earlier, but we still filled the time with the numerous NYSF chants, enjoying our final moments together before the forum officially ended. The National Youth Science Forum was one of the most meaningful and interesting things I have ever done in my life, the entire forum was a rollercoaster of learning, excitement, and new experiences. The amazing relationships I have formed with so many awesome people, I hope to continue way into the future. The different avenues of science I explored were all interesting and I got something out of each lab visit and lecture. I am very pumped for 2017, and have got many plans for what I wish to achieve, as well as what direction I want to go in after school ends. I have to thank my local Rotary group for their support and sponsorship, as well as my school, my rotary district, and NYSF itself for supporting me and providing me the chance to go on this once-in-a-lifetime trip. I couldn't have done it without any of you, and I'm glad that the pursuit of science among young people is being supported. I am going to recommend NYSF to everyone I meet, and I know that my life will forever be different thanks to it.